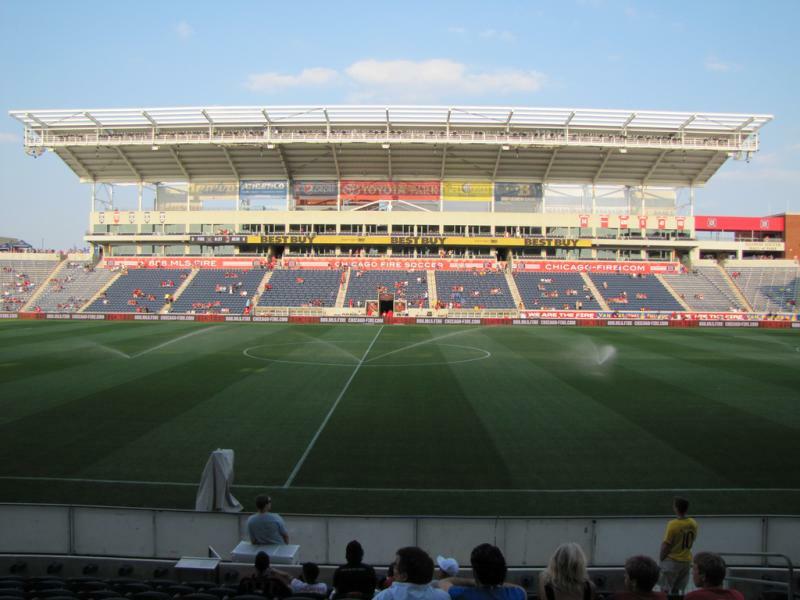 Toyota Park opened on 11 June 2006 with a match between the Chicago Fire and the New England Revolution (3-3). The stadium came at a cost $98 million. The project had be attracted by the village of Bridgeview to revitalise the area, but has so far failed to do this. Toyota Park hosts 24 executive suites and has a permanent concert stage built in. It can be relatively easily expanded to a capacity of 30,000 seats. 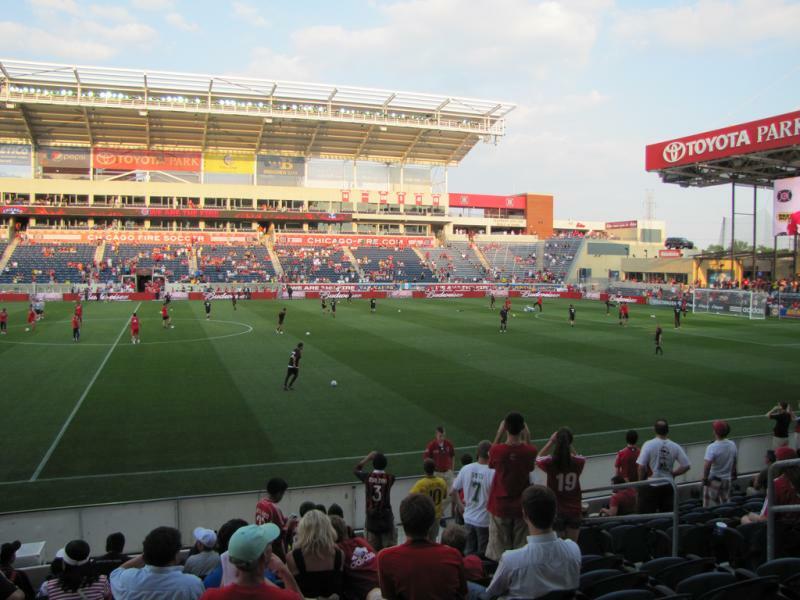 Toyota Park is located in Bridgeview, a Chicago suburb about 14 miles south-west of downtown Chicago and close to Midway Airport. From downtown Chicago take the I-55 south and exit for Harlem Avenue. Turn left onto Harlem Avenue and follow for about 2.5 miles until you see the stadium on the right side of the road. From the I-55 northbound (and I-294 southbound connecting with the I-55) exit for La Grange Road South. Follow and merge left onto Archer Avenue North and shortly after right onto 79th Street. Follow for about 4 miles and turn left onto Harlem Avenue. Follow Harlem Avenue until you see the stadium on the left side of the road. From the I-294 northbound exit for 95th Street. Turn right onto 95th Street and shortly after north on Harlem Avenue. Follow until you see the stadium. 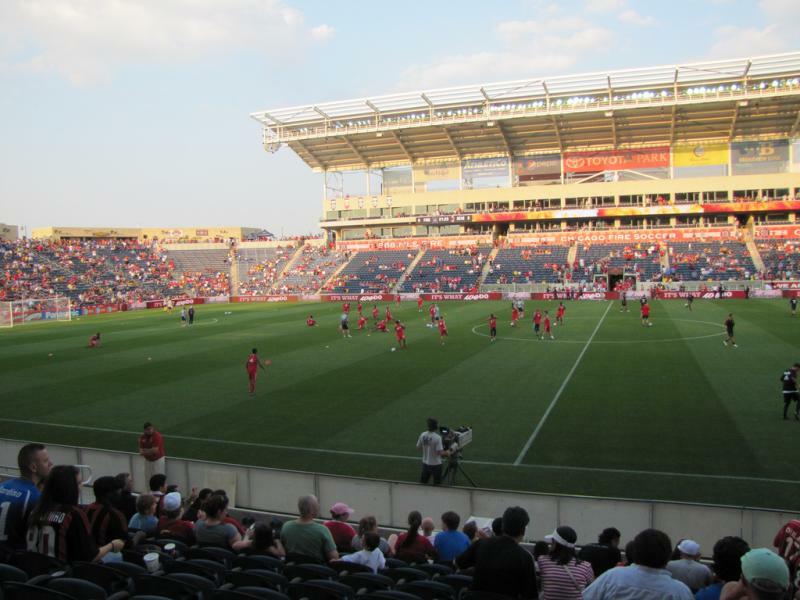 On matchdays special shuttle buses connect the stadium with Midway CTA Orange Line station. Buses run every 20 minutes from two hours before the game and depart 30 minutes after the game. Take a train to Midway station from Chicago’s downtown loop. Midway is the last station on the orange line. The journey from Adams/Wabash station in downtown takes about 23 minutes. Tickets for Chicago Fire games can be bought online through Ticketmaster, by phone +1 888 657 3473, or at the Box Office at Toyota Park. The Box Office is also opened on the day of the match from 3 hours before kickoff. 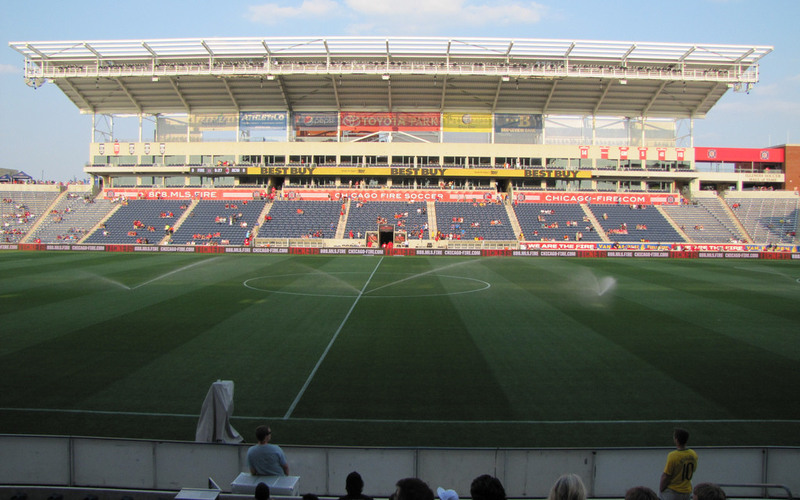 Chicago Fire doesn’t normally sell out save for the odd high-profile match. Ticket prices range from $20.00 for a seat behind the goal to $72.00 for the best seats at the main stand. Special field-side tickets cost $125.00. For more information email tickets@chicago-fire.com. Chicago-fire.com – Official website of the Chicage Fire. 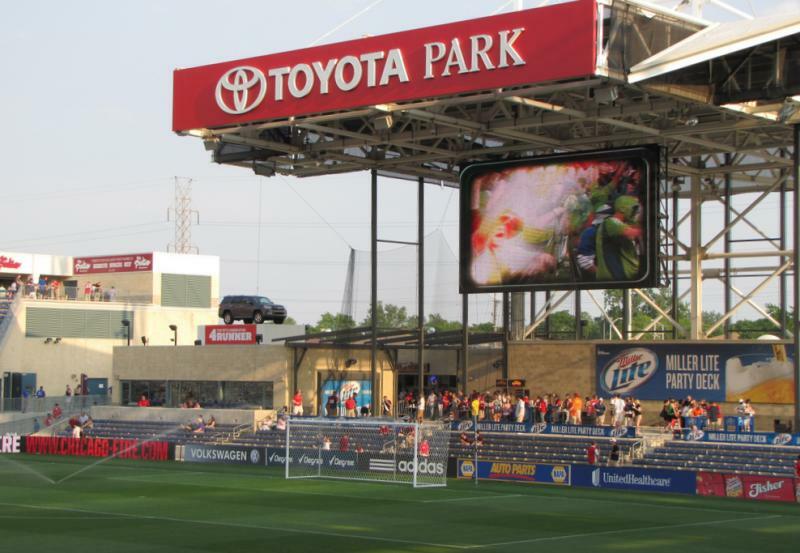 Toyotapark.com – Official website of Toyota Park. Explorechicago.org – The official Chicago tourism site. Transitchicago.com – Chicago public transport information.